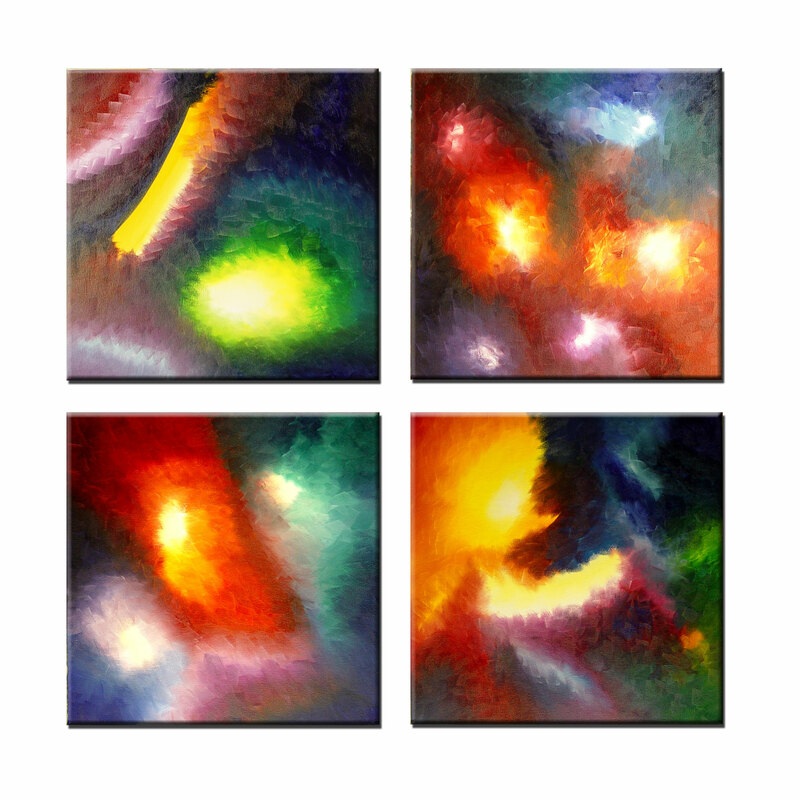 I mainly create medium/large abstract colourful paintings, full of different textures. I am never limited by the size of a single canvas – my works span from 1 to 4-6 canvases, connected with the single subject. They can be used in a room of any size – YOUR imagination is unlimited! Many people ask me what inspires my paintings, but the answer is very simple: I gather inspiration from everything around me – the real world, the word of books and poetry, music, imagination, feelings… In fact – everything. It could be one of every-day objects, such as a cup, a vase, or a lizard in the pets store.. Most of the times I do not see the object itself, I start feeling its texture, colors, and suddenly my brain generates something completely different and unexpected. I may start creating tree, and at some point it will suddenly become something absolutely different. There is no limit to my creativity. My only rule – I never paint when I am sad… I can sketch – yes, but I never will put negative energy onto the canvas!! !